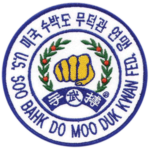 The name of this organization shall be, the "United States Soo Bahk Do Moo Duk Kwan Federation." 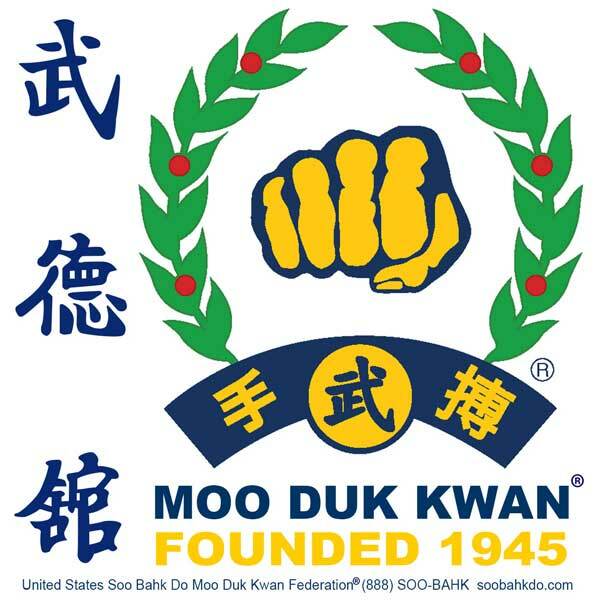 formerly incorporated as the "United States Tang Soo Do Moo Duk Kwan Federation." A. 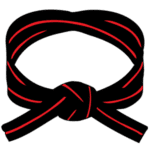 To undertake any and all legal activities which will directly or indirectly further and encourage the study, the practice, and the growth of public recognition of the Korean martial art known as Soo Bahk Do..."
When a dedicated Soo Bahk Do® practitioner is thirteen (13) or more years into their personal Soo Bahk Do® training career, their role in the Soo Bahk Do® martial art and their role in the Moo Duk Kwan® evolves and expands. Upon successful completion of a Moo Duk Kwan® Ko Dan Ja Shim Sa the student becomes more than a student, they become a Ko Dan Ja, and Ko Dan Ja are representatives of the Kwan Jang Nim and are expected to serve as capable and effective emissaries for the Moo Duk Kwan®. a representative sent on a mission or errand. The TAC's introduction of the Kyo Bom Certification Program in 2019 clarifies and emphasizes the expectation of, and opportunities for, Ko Dan Ja more than ever. Effective January 2019 the Board has also adopted new standards of excellence for the Federation's most highly trained practitioners through its Background Check and Continuing Education Program and all Moo Duk Kwan® certified instructors who are Background Check approved are published here. A Ko Dan Ja's technical proficiency, behavior, and personal example become representative of the Moo Duk Kwan® and of the Kwan Jang Nim which makes the Ko Dan Ja role carry great responsibility and the weight of ensuring the long-term preservation of our art, just as expressed in the Federation's charter. A Ko Dan Ja has the opportunity to contribute in more ways than merely achieving their next personal rank because achieving personal rank alone does not necessarily contribute to the promulgation of the Soo Bahk Do® martial art. In addition to achieving rank, the future of our art also depends upon current practitioners being able to attract the attention of potential new students from among the public and then inspire them, educate them and motivate them to undertake the dedicated study of Soo Bahk Do®. It is further necessary to help students envision themselves in the future as Dan members and to encourage students to commit themselves to become future Ko Da Ja. This is the natural development path for creating successors in the martial arts and thus assuring the long-term preservation of the art. Some highly motivated Soo Bahk Do® practitioners eagerly accept the mission of being an emissary for our art, even before they become a Ko Dan Ja. These courageous, passionate and motivated practitioners fully embrace Kwan Jang Nim's message of Share The Art (S.T.A.R.T.) and they become Certified Teaching Program Leaders or Certified School Owners even before they become Ko Dan Ja. Members of the Federation and the general public currently have access to over four hundred (400+) Moo Duk Kwan® certified Ko Dan Ja, Certified Teaching Programs and Certified Schools across the USA who are dedicated to the Founder's mission and the Federation's chartered purposes. Even if you are not a Ko Dan Ja or school owner and you are interested in someday serving the Moo Duk Kwan® and the Federation in the capacity of a Federation Official (Board, TAC, REX, etc. ), please take a moment to signup for future consideration. By doing so you notify the Federation's current leaders that you are motivated to serve in the future. It only takes a minute to complete the signup form. You can help also help support the long-term preservation of our art and help the Federation realize its purpose of making our art visible to the public by taking a moment to make sure your school is properly listed in the National Directory of Certified Schools and Ko Dan Ja and report any issues, errors, omissions, etc. when searching. Thank you for your support and dedication!